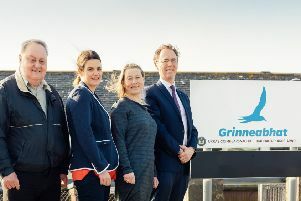 Care services in the Western Isles are facing a crisis with too few workers to deliver services and increasing demand due to an ageing population. And the Chair of the Comhairle’s Communities and Housing Committee has issued a stark warning about the challenges of the future. Cllr. Kenny John MacLeod, speaking at this week’s meeting of the committee said: “We are suffering a deficit in staffing in all care sectors, and we simply can’t deliver what we want to deliver. A radical rethink is needed as to how the challenges of the future can be met. Reports submitted to the committee confirmed that 12 percent of posts in the care sector are vacant, and the problem is being made worse by an ageing workforce that is retiring as quickly as the Comhairle can appoint new recruits. Efforts to attract new and younger staff have failed to meet targets with a care apprenticeship scheme failing to attract all but a handful of recruits. The crisis in staffing is so acute in some areas that sixty-two percent of posts at one care home, not operated by the Comhairle, are vacant and the short-fall is being delivered by agency staff. Harris and North Lochs Councillor, John Mitchel raised the issue of a care home in Leverburgh which operates with large numbers of agency staff, and questioned the sustainability of the costs of agencies supplying staff to homes, and what additional steps the Comhairle could be taking to recruit staff. Comhairle officers confirmed that ‘we have not made finance an impediment’ to solving the recruitment problems in Leverburgh, and pointed to the fact that many local care workers actively choose to work through the agencies rather than join the Comhairle’s staff team. The level of vacancies has resulted in care services underspending their budgets, but the committee were told that increasing pay is not necessarily the key to resolving staff shortages. A Comhairle senior officer confirmed that there were only 40 women registered as seeking work in the Western Isles and, with the care sector locally being largely staffed by women, if all of these job seekers took jobs in the sector the Comhairle would still have two thirds of its vacancies. The problem, officers confirmed, is not just pay but the perception of care work as a career, and that increasing pay might simply distort the market with staff moving to one employer leaving vacancies elsewhere. The Comhairle also faces issues with raising remuneration for posts due to the ‘inflexibility’ of the grading system and job evaluations. Officers gave councillors reassurances that no care home locally would be allowed to close due to staff shortages and that measures would always be undertaken to ensure a quality service was sustained and delivered. Whilst staff shortages are a major challenge, it was confirmed that inspection reports show that the quality of care remains high. The Comhairle’s Chief Executive, Malcolm Burr highlighted that the issue was not unique to the Western Isles, and pointed to figures that show that the entire west coast of Scotland is now suffering major depopulation issues with young people leaving the west of Scotland for the Central Belt and the hinterlands of Edinburgh, and a shortage of staffing in the care sector was affecting all areas. Comhairle Convenor, Cllr Norman A MacDonald said: “The issue is not that the population is declining. It has been the same for about the last ten years, and in fact, in the last census increased by two percent. “Our problem is not numbers, our problem is that the population is ageing, and in the next five years we are going to lose 15 per-cent of staff in the care sector.